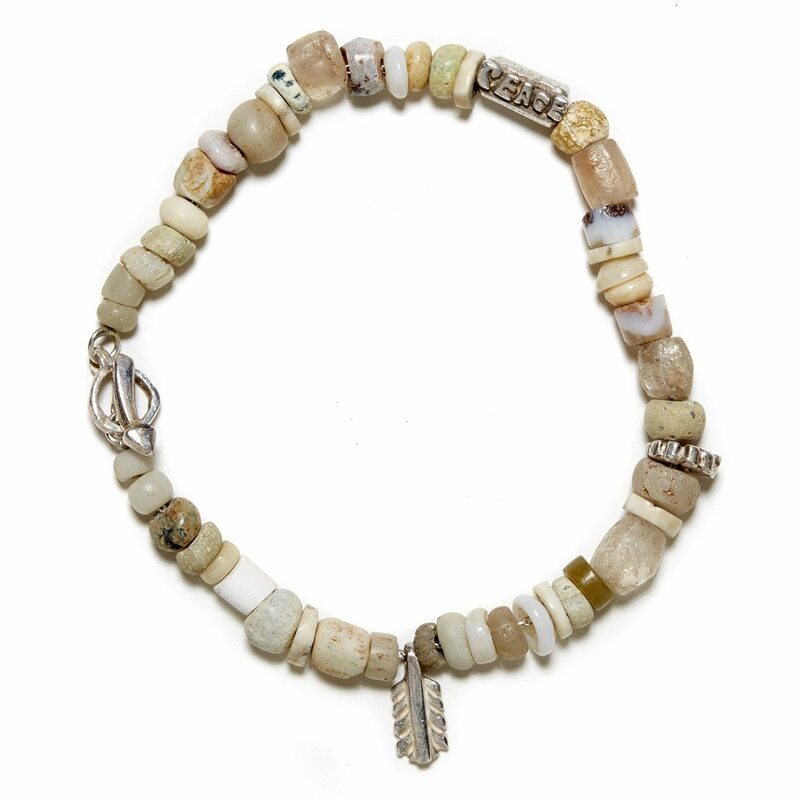 One of a kind and bohemian chic. 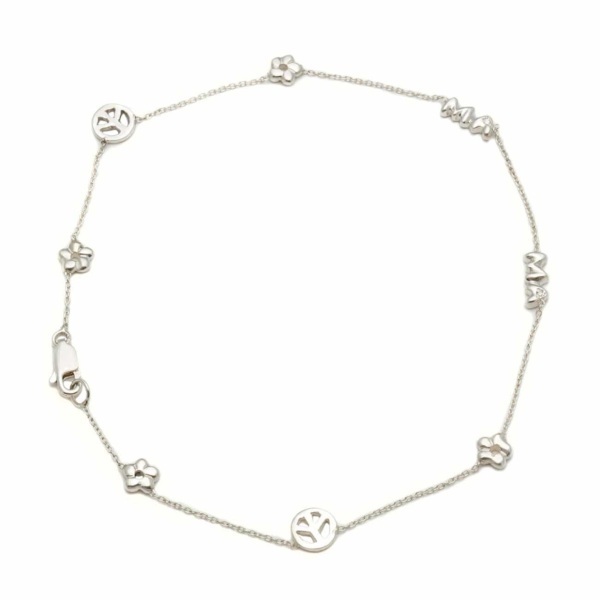 This sterling silver and ancient bead bracelet features many special details. The hues are white neutrals, capturing shades of white, cream, and tan. 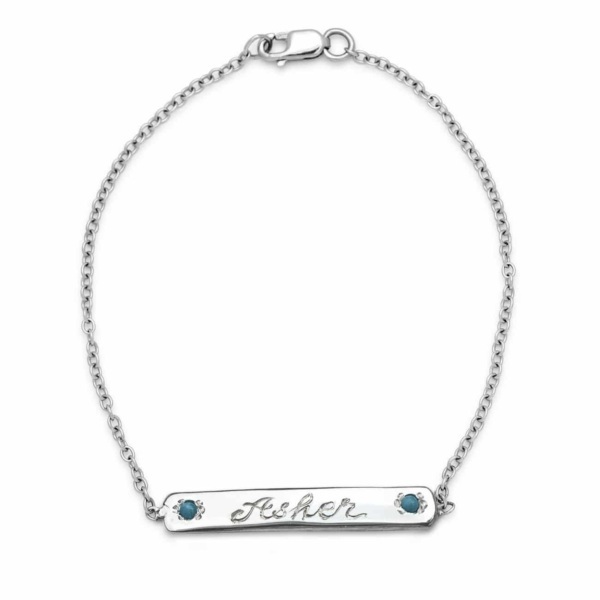 The bracelet is highlighted by sterling silver details hand carved by Elisa. 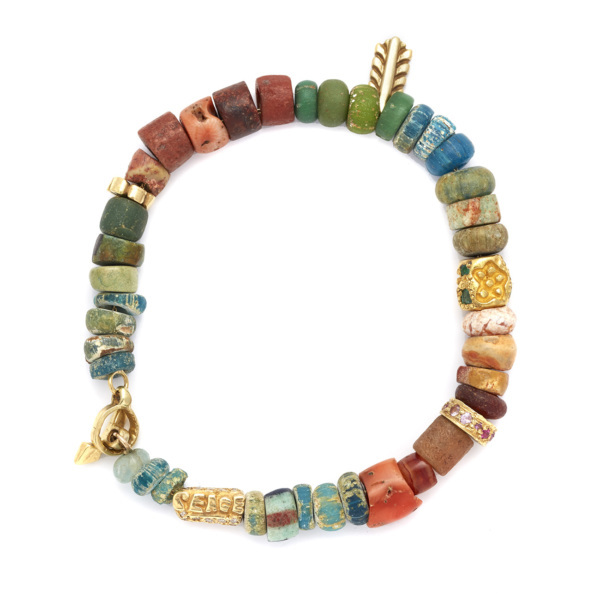 These beads are a feather charm, flower bead, peace bead, and arrow clasp. Handcrafted by Elisa.